Opening week of the 2012 NFL season is officially in the books. It's easy to point out the superstar performances week in and week out. Obvious choices here would be Matt Ryan, Julio Jones, or RG3, to name a few. But the unexpected breakout performances are way more intriguing. Here are some of the best surprise performances that Week 1 had to offer. The 25-year-old was entering his 3rd season as Buffalo's backup running back, but stepped in as the primary back when starter Fred Jackson suffered a knee injury in the first half. 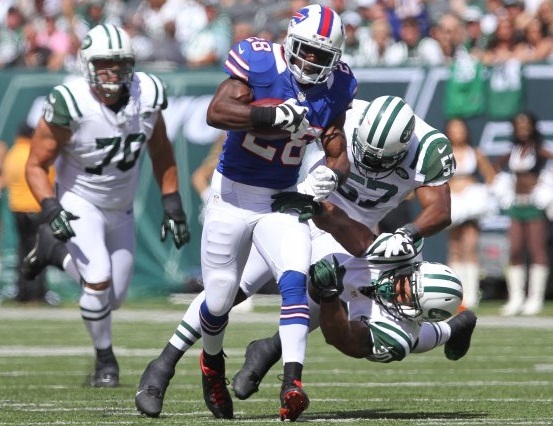 Spiller went on to carry the rock 14 times for 169 yards and 1 TD. Many criticized the Bills for drafting Spiller 9th overall in the 2010 draft instead of filling one of their gaping holes at other positions, and since then, he has not done much to prove his worth, unable to beat out Jackson for the starting position. But when Jackson went out with an injury late last season, Spiller filled in nicely to close out the year. Jackson will miss at least 3-4 weeks this time around, which means this is Spiller's chance to prove himself once again. He definitely seems to have the skill set to get the job done. The 3rd round pick out of LSU for the New England Patriots in 2011 recorded a rare 100-yard rushing game for the organization in a rout over the Tennessee Titans on Sunday. Ridley had 21 carries for 125 yards and 1 TD, plus 2 catches for 25 yards. Along with Shane Vereen, who was also drafted in 2011, Ridley has great potential to live up to, but hasn't gotten a full opportunity up until now. The Pats have been known as a pass-first team over the last decade or so, but with the emergence of a legitimate RB, that may finally change. Bill Belichick loves to utilize multiple RBs in different situations, but now that Ridley has shown that he can be a primary back and do it all, he might be the go-to guy from here on out. Unless you are a Dallas Cowboys fan or just an avid follower of the NFL in general, chances are you've never heard of Ogletree. That's because he was far down on the depth chart and never got much playing time since signing as an undrafted free agent with Dallas back in 2009. Now, as the 3rd receiver for the Cowboys, Ogletree finally has the opportunity to showcase his talents. The University of Virginia product finished with 8 catches for 114 yards and 2 TDs against the defending Super Bowl champion New York Giants on opening day. The most impressive aspect of Ogletree's Week 1 performance was that both Dez Bryant and Miles Austin were also in the lineup. The fact that Ogletree had a big game with both stud wide receivers on the field is a positive sign for him moving forward. You're probably wondering, who's that? It isn't expected for many people to know who the 6th round pick of the Minnesota Vikings was, especially when it was a kicker. But you couldn't have written a more perfect debut for Walsh, who made both his extra point kicks and went 4-for-4 in field goal opportunities. The significance in his performance was that all 4 field goals were made in the 4th quarter and overtime, including a tough 55-yarder at the end of regulation to send the game into OT. Walsh also nailed a 38-yarder in overtime to cap off an incredible comeback victory over the Jacksonville Jaguars. Needless to say, the rookie from the University of Georgia earns the Unsung Hero of the Week honor for having ice water in his veins. The storylines and hype are always great leading up to the first week of the regular season, with certain players and teams having high expectations. Then there are those who aren't supposed to accomplish much, but end up stealing the show. These guys all managed to do just that. 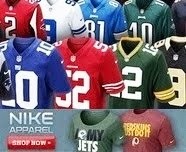 How did RG3 not make the cut?? Everyone is talking about RG3, so I wanted to mention some other guys who might not have been getting as much attention. Plus we had a whole post a couple days ago dedicated to his performance. ^^ I agree. And the fact that Spiller's team got killed should eliminate him from consideration right off the bat. Pretty gutsy of you though to name Walsh the unsung hero of the week. Most people don't want to give kickers any credit. And I think kickers don't get as much credit as they should. It isn't easy kicking a football that far, especially when you only get one try and the game is on the line. Kudos to the rookie! Jets WR Stephen Hill had a surprisingly good week 1 also. Especially when you consider how awful the Jets looked on offense in the preseason. Agreed! I thought about including him. I just thought Ogletree was a no-brainer. Hill had a nice debut though. I see big things from him in the future.